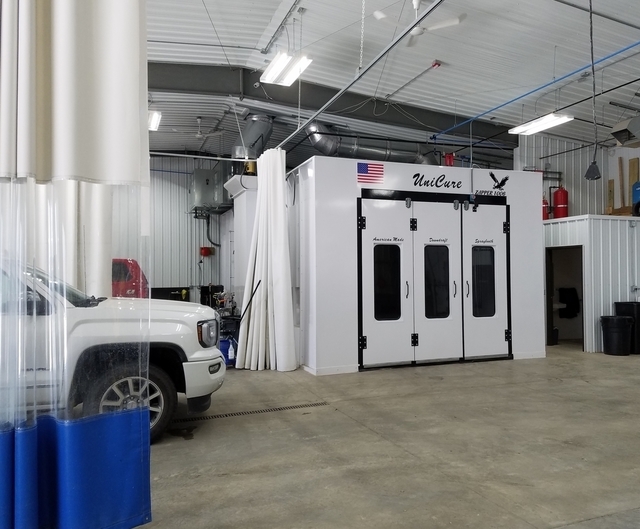 With a semi side downdraft automotive paint booth installed, Bailey’s now offers a professional paint job to refinish any automotive parts that has been either repaired or replaced. Dents are what made us. Bailey’s mastered the art of paintless dent repair by repairing dents that others wouldn’t think possible. Check out Bailey’s PDR Inc. for further information regarding paintless dent repair. However, if we aren’t able to repair it with PDR, we’ll repair it conventionally with less filler and then paint it to look like new again.